When you’re about to lease an office, you need to make careful decisions. Once you have signed the lease, you won’t be able to change your mind – likely, for at least a year. This means that you have to get it right first time. Here are five things to consider. How easy is it to get to your office – not just for you, but for employees and customers? Is there free parking on site? Are you close to public transport links such as airports, train stations, bus routes, and so on? Is there a motorway nearby? How far are you from major cities? You want to make sure that everyone can reach you easily, but it’s also important to be away from the traffic jams of a city centre. Are you looking to lease an office? Can you afford to pay your lease, plus any rates and tax you may need to pay, along with utilities? Think about your average turnover for the past few years, or predicted turnover if you are a start-up. Consider how much profit you will need to make to cover the lease, and whether it is realistic. Make sure to look for great deals – as you move outwards from a big city, prices will start to drop while still having good proximity to the city itself. Your neighbours could have a big impact on the success of your business! If you are in a residential area, you won’t get much footfall. A managed office building is a great place to find footfall from customers who are visiting businesses all around you. If your neighbours are all businesses, you might also get some extra custom from them and the chance to collaborate or cross-promote. What kind of extra facilities do you have access to on-site? You will need working toilets, a customer lift if you are above the ground floor, and access to the internet as well as the potential for phone services. After that, anything extra is a bonus. A café is a great place to grab refreshments, having gyms and other fitness services on-site will help you blow off steam, and of course loading docks and load-bearing lifts are great for retail and manufacturing businesses. Finally, is your office space ideally suited to you? Do you have the option to customise it, and is the space flexible according to your needs? Will you be able to upgrade to a larger space if you need to? These are all things to think about before you lock yourself in to a space that doesn’t quite suit your needs. Palcan are another of our fantastic tenants here at Adelphi Mill, and they are an interesting variation on the other businesses inside our building. With green power at heart, they are a fuel company from Vancouver who happen to have an office with us as well as in locations all around the world. Palcan has been around since 1998, when it was formed in Canada. With 20 years of experience within the fuel industry, they have also made some huge leaps forward in their company development. They created the first fuel cell bicycle and scooter in the world, and in 2009 started a joint venture in China. They also created the first fuel cell portable generator, as well as making improvements and innovations with solar panels and other green fuel sources. In 2015, they created a hybrid fuel cell electric bus. They now have bases in Taiwan, Madrid, and across China. Working across North America, Europe, and Asia, Palcan is constantly looking to improve the fuel that we use and create more eco-friendly options. They believe firmly in green power, and their big goal is to create a “green society”. They have created a number of new products for the green power market, and continue to work on new projects to this day. Their innovations are at use in many places around the world, so you may have enjoyed power created by them without even knowing it! Like so many of our tenants, Palcan is such a unique and interesting business. The diversity of the companies sharing our walls makes for a vibrant mix, and really increases the business opportunities for those who mingle with their neighbours. This is a fantastic example of something you wouldn’t expect to see until you found them! Starting a business isn’t easy, and never has been. It’s particularly difficult in the current climate, however, and that means that start-ups need to try harder than ever. These tips are essential for getting through the year – and seeing success at the end of it. When it comes to hiring, it’s really important not to run before you can walk. In the past, businesses might have hired a full staff before even launching. Now, you might find you can start off with a smaller team and build as you go. This keeps overheads down and gives you more of a chance to turn a profit in your first year. Millennial workers in particular are happy to wear more than one hat at their job, so you might find a head of marketing who is also happy to pitch in with web design or create all of your content themselves. When you are ready to expand the business, that’s when you hire more people. With more and more businesses launching solely in the online sphere, many start-up owners think there’s no value to be had from setting up office in any particular location. In fact, this couldn’t be further from the truth. Setting up in an area which is close to other businesses is really important. Those links could be potential contacts, new customers, and referral generators. Working together with other businesses is huge, and being in the right location can help you to make that happen. The hugely competitive world of online marketing now demands that you build an audience before you launch. Start small, with social media profiles set up and a website landing page to capture email addresses. In the weeks before launch, start a content campaign and ask for more email sign-ups. On the day of launch, blitz social media and send out emails to all those captures. This will help you launch with a bang. The process is the same for new product launches later on. Just like our tip for working with other businesses earlier, you should also be interacting with all kinds of people. Don’t isolate your brand – turn it into a conversation. Interact with your followers, personalise your communications with your customers, and work with social influencers to spread your message. All of this will help your customer base to grow, and will increase brand loyalty so that they shop with you again in future. Be part of the world, not an entity advertising outwards to it. If you can get involved in community events and projects, do it. You will see a big benefit. All of these tips will help to strengthen your brand and give you a better chance of surviving 2018. As a start-up, simply getting through a year is an amazing achievement – but if you follow them, you will be on course for a great success story. This week, we’re looking at another of our successful tenants here at Adelphi Mill. Mech Electrics have been in business since 2007 and are going strong at our facility. Here’s everything you need to know about this business. Mech Electrics aren’t an electrics company themselves, but rather a recruitment agency for the industry. They are specialists in finding the right candidates for the right opportunities, helping both businesses and individuals to find the right fit. With more than 10 years of experience, they have expanded to work across the whole of the UK and are experts at understanding the movements of the industry. Rather than simply operating as an online agency, Mech Electrics are all about being proactive in the recruitment industry. They network daily and make sure to go to sites and offices to meet with the people who matter. They have direct contact with employees and hiring managers, which means that they also talk to individuals who may come recommended and are looking to move on from their roles. Rather than simply sending a CV to a job opportunity that fits, they prefer to talk directly to the candidate and ensure their eligibility. This also helps them to more accurately present the candidate to the hiring manager and ensure that they have a much better chance of getting the job. With experience dating back to the recession, they have gained supreme knowledge of who has moved where over the years, why, and what they are doing now. They know who has worked with whom, and who might be a better fit with someone else. They are also experts at keeping details private and confidential even when seeking out potential candidates for more exclusive roles. Whether you are an employee in the electrics industry who may be looking for a new role, or a company with roles to fill, you will want to talk to Mech Electrics. They are happy dealing with and balancing both sides of the equation at all levels of seniority. You will find Mech Electrics at Adelphi Mill in Bollington. You can call, email, or use their website to sign up for job updates, as well as adding your business recruitment needs. If you are staying in the industry long-term, you can also follow their job email newsletter for the latest updates. If you are looking for workshop space in Macclesfield, there’s only one place you should be considering. 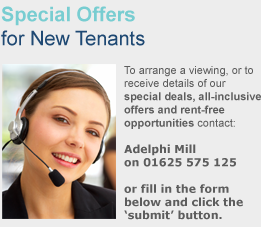 Adelphi Mill has the space and facilities you need at the best possible price in the area. Here’s why you don’t need to look anywhere else. We have a range of spaces available, covering a variety of sizes and shapes as well as the type of unit. We have plenty of office spaces available should you require room for a desk or meeting area alongside your workshop. We also have industrial spaces to let which you can use for your workshop space, allowing you to keep both your workshop and your business office within the same facility. Our spaces have been fully refurbished to ensure that the historic exterior of the mill is matched with state of the art office facilities on the inside. Located in Macclesfield, our mill is also well placed to provide access to a number of local business communities – including Manchester city centre – making it ideal for any kind of business. Where else can you let a workshop space inside an award-winning Grade II former cotton mill? The property, which sits along the Macclesfield Canal, has undergone a huge refurbishment and still retains the glory of its prime years. Having been a pillar of business in the local community, it now continues that legacy as the home to many local businesses which operate from inside the mill itself. Converted into office and workshop spaces, the building offers plenty of potential, and is certainly an impressive sight for visitors. We also ensure low prices for all of our spaces so that you have the opportunity to let with us in a superior building. You won’t get this anywhere else – not unless you want to pay much, much more. If you are looking to upgrade your current workshop space, or open a new workshop for the first time, then Adelphi Mill is the place to do it. Great character, low prices, top-rate facilities, and a fantastic location: there is nothing more that you could want from your next workshop. Book a viewing today. While we often say that we have a wide range of tenants at Adelphi Mill, sometimes it can still be surprising to see just how diverse they are. Lissom + Muster are the tenants we are featuring today, and they are a really interesting company who are sure to appeal to a lot of customers. There are four strands to the Lissom + Muster company. They have a design studio where they create clothing; their offices, where they market and handle the business side of sales; their warehouse, where they stock all of their designed clothing as well as items from other brands; and their showroom, where they display items for sale. The great news is that all four of these strands are inside Adelphi Mill, where they moved after deciding to amalgamate their services into a larger space. They are both a design house and a curated shop selling items from other brands, all handpicked to mesh well with their design aesthetic. They focus on a contemporary style and like to ensure that everything they sell has the highest level of craftsmanship. They like to use modernist principles when designing clothes, which means that each item is intended to be useful to as many types of people as possible as well as having a timeless style. They also believe strongly in quality materials and construction. They do make their own clothing, but they also stock some other labels as well. They have a wide range of choices on offer depending on when you visit, but some of the iconic labels that they usually have in stock include Mourne Textiles, John Smedley, Sunspel, Drake’s, and Alfred Sargent. They also sell newer brands such as Cherchbi, Smyth & Gibson, and Alice Made This. Their own label is made in the UK and Europe, after being designed in-house. They use well-established factories and workrooms to ensure high quality production. If you are interested in shopping Lissom + Muster, you can easily find them online at their website as well as visiting them in person. They like to take visitors by appointment, so make sure that you book ahead before you come down and see them. They will be able to discuss fittings and sales with you and even custom garments. There are a wealth of great brands in Adelphi Mill. This is just one of the impressive examples that we love to share with you! As well as selling products, many of our tenants offer great services that can help you in all kinds of ways. Home to Sew is unique in that it offers customers the chance to improve their skills in a very specific area: making soft furnishings to a professional standard. Here’s everything you need to know about this Adelphi Mill business. Home to Sew is run by Sarah, who previously had her own soft furnishings business with a focus on her own handmade items. She would measure, design, make, and fit the items. She started to run classes on curtain and blind making on the side, and these became so popular that she decided to refocus her business on teaching others how to make their own items. Sarah has 10 years of experience in the soft furnishings business and knows how to make bespoke items for any home. She also has great contacts with suppliers and knows everything about working in the soft furnishings industry. Sarah teaches a number of courses which allow you to explore new skills in the soft furnishings sector. These will help you to make your own bespoke products, saving money because you won’t have to buy them from a shop – and also giving you a great sense of pride in your home. Courses are taught in very small groups so that everyone can get a lot of individual support, and the environment is relaxed so you can take in as much information as possible. After the course ends, you will also receive two weeks of follow-up support to make sure that you don’t forget or lose any of the skills that you have gained. You can also opt for one-to-one tuition if you need specialised help, or if you feel that you require a guiding hand in particular. The courses include roman blind making, curtain making, learning to use a sewing machine, making cushions, and starting your own business in the soft furnishings sector. Make sure that you book into a course in advance – Sarah does not run courses every single day and places are limited, so you will want to get in quick. You can do this via her website or call her up to discuss your requirements. Making your own soft furnishings is a valuable skill. At Adelphi Mill you can learn all you need to get started on your own, with experience that will set you up for great things. Many of our tenants here at Adelphi Mill have diverse and interesting backgrounds, as well as representing a wide range of industries. iDebtPlan are the latest of our tenants that we are pleased to feature, with an offering that is certainly a great addition to our facility. iDebtPlan is set up to be an impartial site helping people deal with their debts. Rather than being owned by a bank or a moneylender, who have a vested interest in your debts, they give advice from an outsider’s perspective and do not have any ties to the organisations that you owe. They are an introductory agency who will connect you with a debt management team to ensure that you can regain control of your finances. While it may all sound like jargon, it’s easiest to think of them like this: they ask you what your debts are, look for the best way to deal with them, and then hand you over to someone who can help you do so professionally. They help to give you advice and then can lead you in taking the next necessary steps as well. This may mean taking up an Individual Voluntary Arrangement, known as an IVA, or a Debt Management Plan – DMP. If you want to go ahead with either of these, the advisors will help you to manage your debt for a small fee. This can be hugely beneficial, particularly if the plan they come up with helps you to save more money in interest and fees than it costs to set up! The plans are run by their debt management partners, who will take over your case when you are ready to go ahead. The advice that you get in the first place is free, so there is no reason not to get in touch and see what they could do for you if you are struggling with debts. Of course, as with any financial undertaking, everything is done at your own risk so it is advised to read everything over carefully and make sure that you understand the proposed plans. So, there we have it – certainly an interesting tenant, and very different to most of the other businesses which are based within Adelphi Mill! If you want to get in touch with them, you can easily do so via their website. This year, there’s a chance to remember those who gave their lives for our country at the Bollington Remembrance Day Parade. It will be taking place on the 12th November, coinciding with events all around the UK. 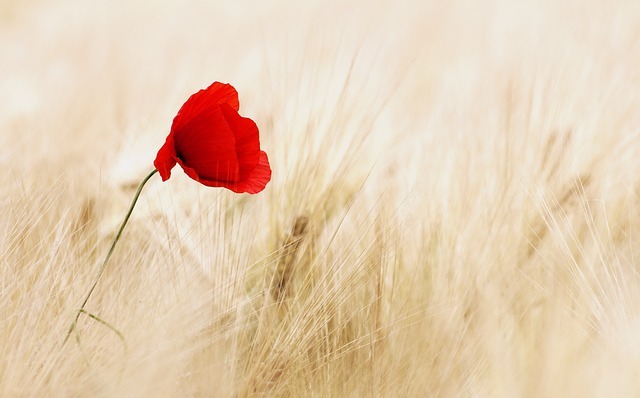 The Memorial Service starts at 10.55am, and all are welcome to join. The Bollington Brass Band will be leading the parade from the Bollington Recreation Ground to the Memorial Gardens. Adlington Road will be closed throughout the day to allow the parade to pass by. After the service, it will return along the same route, pausing for a salute first at the Civic Hall. There will also be rolling roadblocks in place along Palmerston Street while the parade passes through. The Bollington Brass Band will be busy again later in the day, when they play a concert starting from 7pm. The Bollington Old Methodist Church will also play host to the Chapel-en-le-Frith Male Voice Choir, and Neil & Ben. Tickets are available in advance or on the door. With Christmas now just around the corner, it’s also time for celebrations to begin. The town Christmas lights will be switched on in a ceremony at Bollington Town Hall on the 26th November 2017. The festivities will take place from 16:30 to 19:00 and offer plenty of opportunities for family fun. Father Christmas himself will be in attendance to hear the Christmas wishes of any children who come to meet him. Stalls, bouncy castles, and children’s rides will offer a family fun area outside of the hall. The road will be closed to traffic as everyone enjoys the celebrations, which will include a licensed bar serving mulled wine for adults to sample. There are gifts and live entertainment to be laid on for everyone, so it promises to be a great night for the whole family. When looking for a new home for your business, location and quality are of the utmost importance. 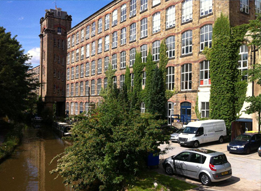 That’s why you will want to know about the fully refurbished offices we have available at Adelphi Mill, in our canalside location in Bollington. The refurbishment of the Grade II listed Adelphi Mill has taken away nothing of the historic character of the exterior, which forms an impressive façade as you approach. With full facilities including a free car park, visitors and employees alike will enjoy entering the building and making their way to your business. Several million pounds were spent on bringing the interior of the building up to scratch for a modern office environment, ensuring that you will have access to all of the mod cons that you expect. Security services including CCTV monitoring mean that your office will always be safe – and you can get access to it at any time of day or night. Should you require a snack or two, we have an on-site café for you and any visitors to enjoy. There’s even a gym on site as well as full toilet services and a luxury passenger lift. While we may be located inside an historic mill, there’s nothing old-fashioned about our premises. There are plenty of new office spaces available, whether you are looking for a single desk room or a larger warehouse space. These offices have great character and also provide a great level of comfort, with fixtures and fittings that give you everything you need in your office. Looking out of your windows, you may take a look at the Macclesfield Canal. This canal was once a source of transportation for the mills, who had to ship their cotton far and wide as well as taking deliveries of their raw materials. It is still popular amongst those who enjoy rowing and sailing narrow boats, and provides a picturesque setting for your business base. Once you get to know your fellow tenants, you may even find a few new business opportunities in the works. There’s a huge benefit to being amongst other offices in an area that is highly frequented by visitors and is attended by many employees and business owners daily. With plenty of potential for business opportunities, a great location, and modern office spaces available, it’s clear why you should choose a canalside space for your next office.